Li Xiaolu’s (李小璐) affair with the rapper PG ONE has left lasting scars in her acting career and personal life. 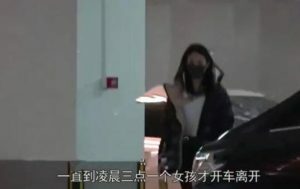 While she continues to battle against defamatory rumors and taking legal action against her slanderers, her husband Jia Nailiang (賈乃亮) has become a paparazzi phenomenon, and every move he makes would end up topping gossip columns and search engines. 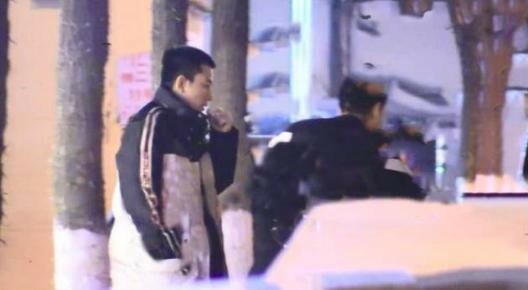 Last night, a Chinese paparazzi team spotted Jia Nailiang making his way home after eating dinner with a few friends. Though Jia Nailiang did end up driving himself back home, two good-looking women who were eating with the actor earlier followed him to his apartment. The two women reportedly did not leave Jia Nailiang’s apartment until around 3 to 4 a.m. The women left separately, leading to speculations that Jia Nailiang may also be cheating on his wife. A video of the two women and Jia Nailiang walking together was published, but many fans doubted the cheating speculations. They reasoned that the actor and the two women did not act intimately with each other. In another related post, Jia Nailiang told his fans that he, alone, has been doing well, leading to speculations that he and Li Xiaolu may have already divorced. The couple, married since 2012, have not been seen together for an entire year.